Learn Your Name in Morse Code Day - January 11. There is a controversy among some Morse Code operators on who actually created the code: Samuel Morse or Alfred Vail. So, in order to not offend either side, I've chosen the date of January 11, because on January 11, 1838 both Morse and Vail did the first public demonstration of the electric telegraph together. As of 2007, Morse Code is no longer a requirement in order to get a Ham Radio license. There is concern that within 50 years or so, this form of communication will die off due to more modern technology replacing it and those that do currently know it, are mostly older and the newer generation isn't learning it to keep it going, once they pass on. So, to help stir up some interest in Morse Code, I thought I'd start this observance to get people of all ages to try to at least learn their name in Morse Code. It's not that hard. And, you do not have to do it at the speed of lightning like the old timers do. (I can't even do that!) But it is a lot of fun. And, there are different style of keys to use also. We also have a Morse Code translator below for you to type in your name and then hear what your name sounds like in dits and dahs. But, the best way to celebrate, "Learn Your Name In Morse Code Day" is to contact your local Ham Radio Club and perhaps someone can show you how your name sounds and teach you how to send it on a key. (Hint: We suggest you put 2 spaces between each word to see the separations better when viewing your messge in Morse Code. You can practice as many times as you wish. Just delete both the English and the Morse Code Translations and then retype something new! 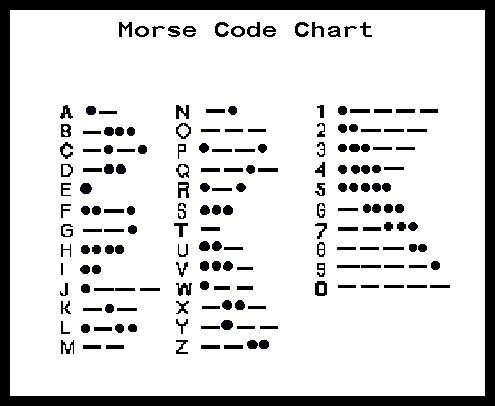 Here is the Morse Code Chart I made to also help you. 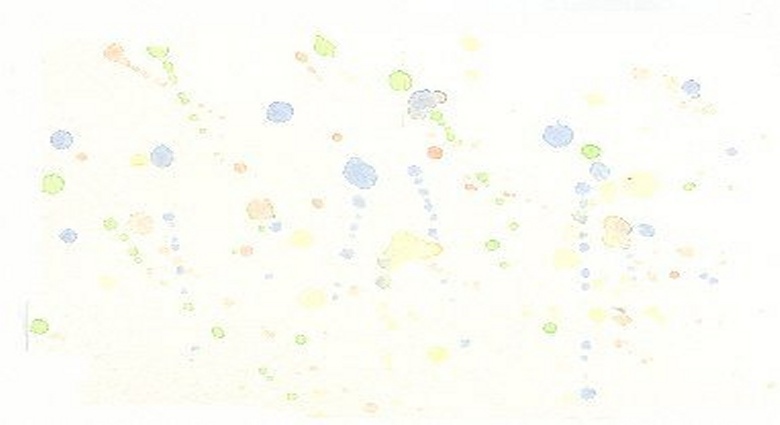 I'VE MADE SOME MORSE CODE ITEMS IN MY ZAZZLE STORE. Those dits and dahs can also be decorative and fun!